Scotiabank Field at Nat Bailey Stadium is the premier summertime setting to entertain your friends, family, clients, and colleagues. Whether you're looking to secure a season ticket to all 38 home games, or you're interested in hosting an event of 20 to 400 guests at one game, the Canadians have a ticket package perfect for those important to your business. Click on the links below to learn more about our ticket options. Our dedicated C's Staff are here to help every step of the way. 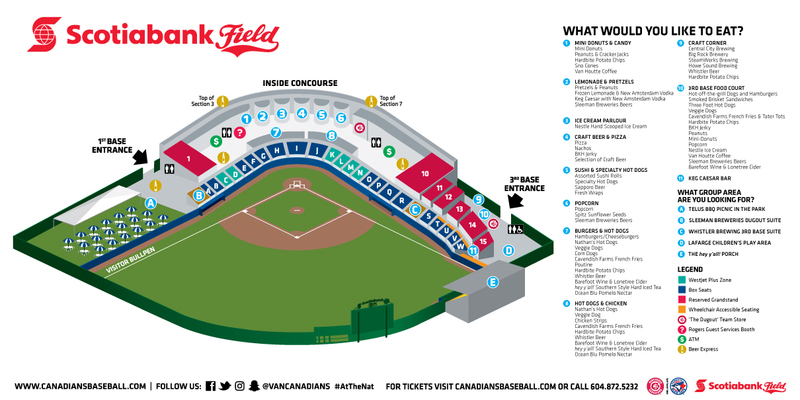 Contact the C's Front Office at 604.872.5232 or at tickets@canadiansbaseball.com.